Join me in welcoming Brita Britnell from the fabulous food blog, B. Britnell. 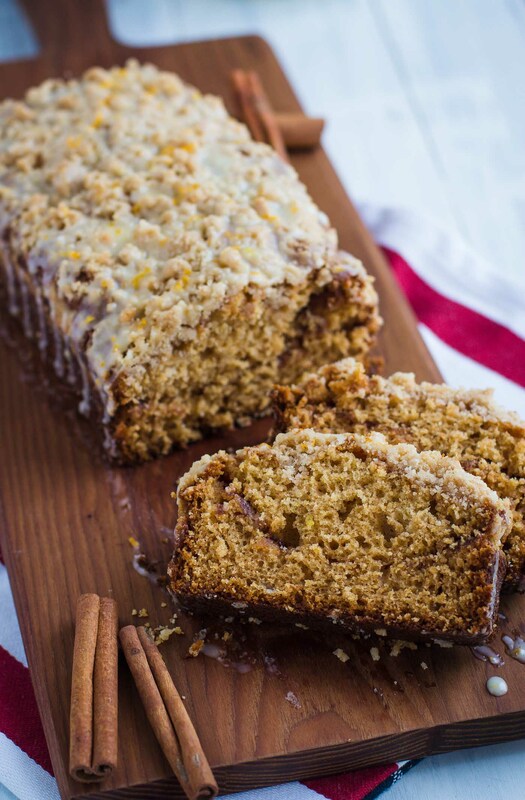 She’s sharing her Cinnamon Amish Friendship Bread recipe that adds a crumble and zesty orange glaze to dress up the classic loaf, just in time for the holidays. If you look close, Brita has added a layer of cinnamon crunch in the middle of the loaf. Yes, you can start drooling now. 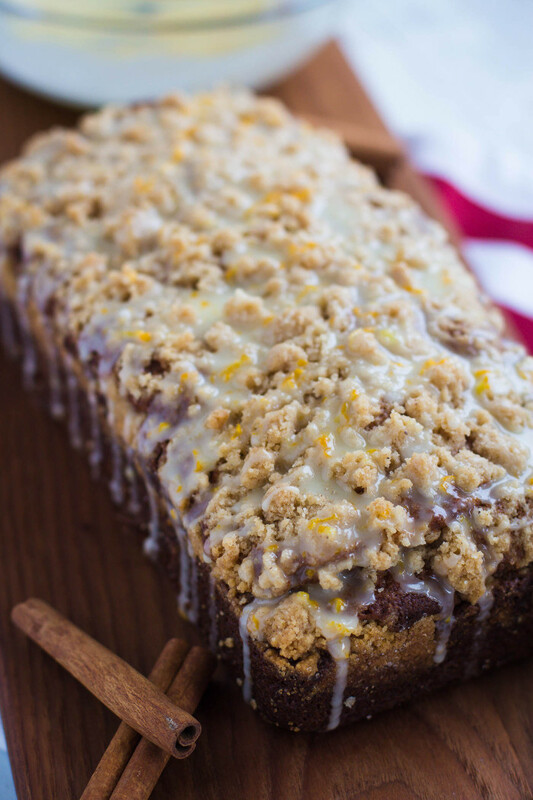 Dress up the classic Amish Friendship Bread loaf with a crunchy sugar center, a cinnamon crumble and a zesty orange glaze. Preheat oven to 325° F (165° C). Grease two large loaf pans. In a large mixing bowl, add in all of the wet ingredients and mix thoroughly. Sift the dry ingredients into the wet ingredients and stir until fully incorporated. 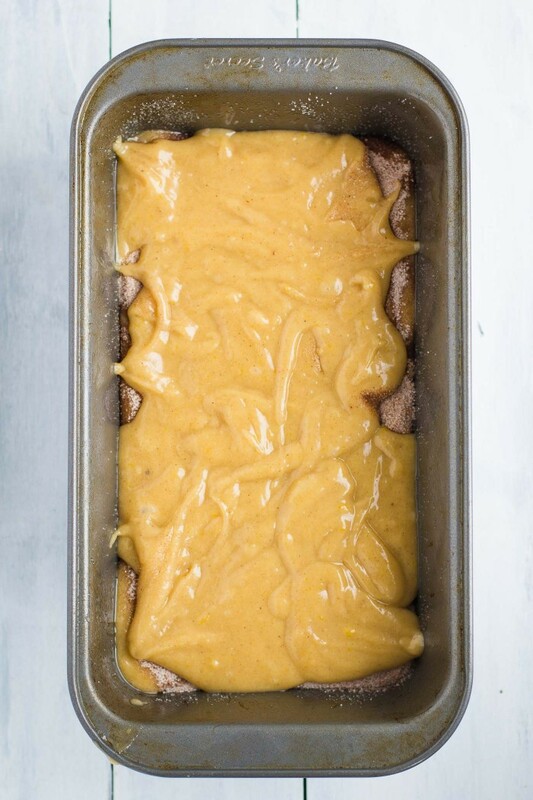 Dividing the batter up, pour about ¼ into one loaf pan and a ¼ into the other. Sprinkle each one with ¼ of the cinnamon sugar mixture. 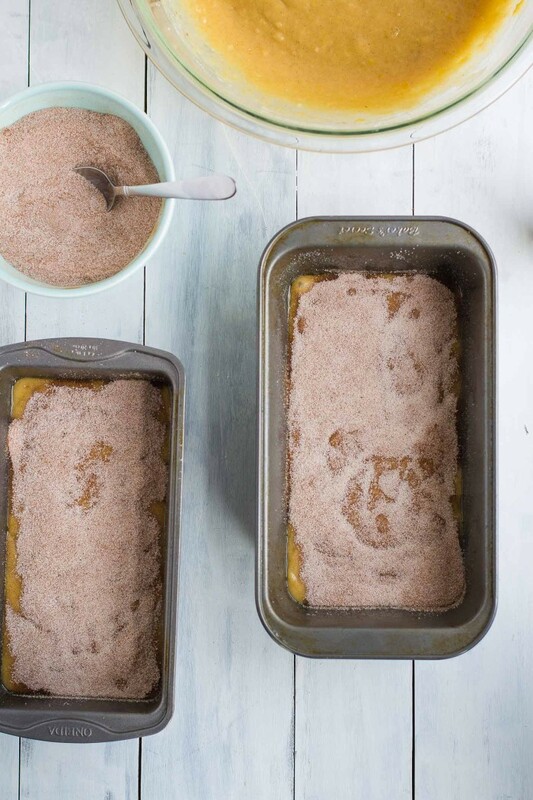 Pour the remaining batter evenly between the two loaf pans and sprinkle the tops with the remaining cinnamon sugar. 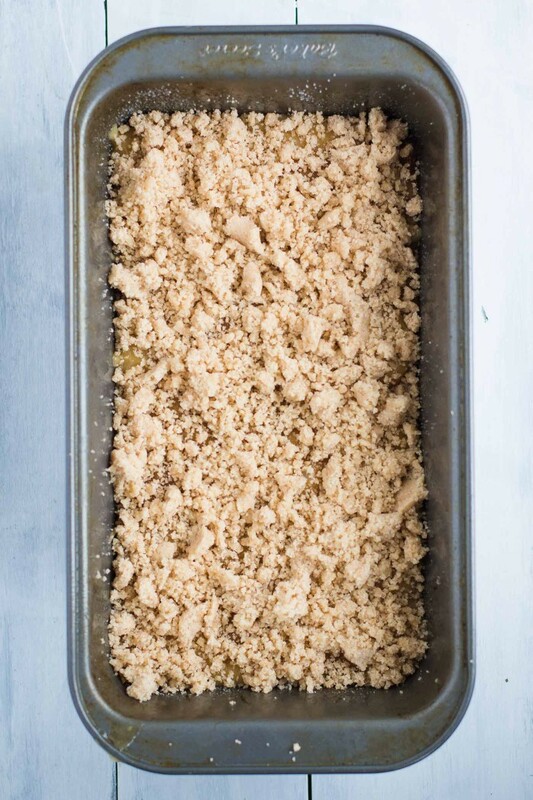 Combine all of the ingredients for the crumble spread in a medium bowl. Cut the butter into the other ingredients until it starts to crumble together and form clumps. Sprinkle evenly across both loafs. To make the glaze, combine the sugar and orange zest in a small bowl. tablespoon at a time, whisk in the orange juice until a thick glaze forms. Add a bit more juice if needed. I’m off to get eggs and an orange- I want to try it this weekend as my son will be here from California and I want to send him home with some. This sounds absolutely divine! Going to make this for a friend who is just loves cinnamon bread. She’ll get one loaf and I’ll take the other. This recipe sounds so good. I always make my neighbors quick bread at the holidays, and I’m dying to try this one. My neighbors and sister are going to enjoy this yummy-looking bread this year. This one of the best recipes I have tried. I bake for my son and grandson all the time and they love it. I bake all the time and I love the Amish Starter. Mine are in the oven as I type. Made the Chocolate Amish Friendship bread last night and I have to say (as this is my first batch of starter ever) how surprised I am that the batter is almost brownie consistency each time I use it. Kind of made me think I had made an error somewhere in the measurements but it sure smells amazing in here and the bread I made last night is already gone! Love it. Hi Christine! 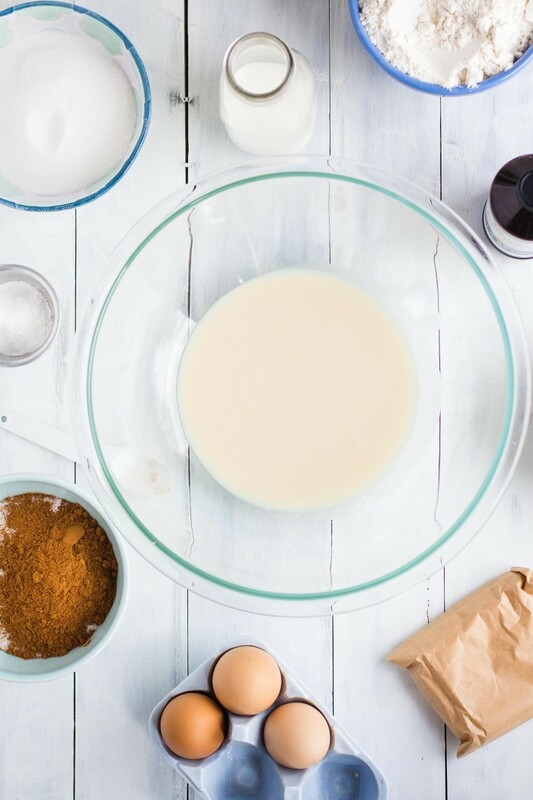 Next time snap a pic, we’d love to see how your Amish Friendship Bread turns out (https://www.friendshipbreadkitchen.com/recipe-box/submit-photo/). The chocolate variation is one of our favorites and it is a bit gooey because of the chocolate pudding. If you’d like it a little drier, you can experiment with using a little less of the pudding mix. Thanks so much for being a part of the Friendship Bread Kitchen! What kind of pudding did you use? Hi Tracy! We used 1 small box of Vanilla Instant Pudding for this recipe. You can buy it here or make your own using our recipe. Happy baking!